Want a ring so outrageous it`s the first thing people see? Here it is: OVER THE TOP! Sparks fly from the nine enormous CZs, prong-set in hematite amid a field of miniature jet black crystals. 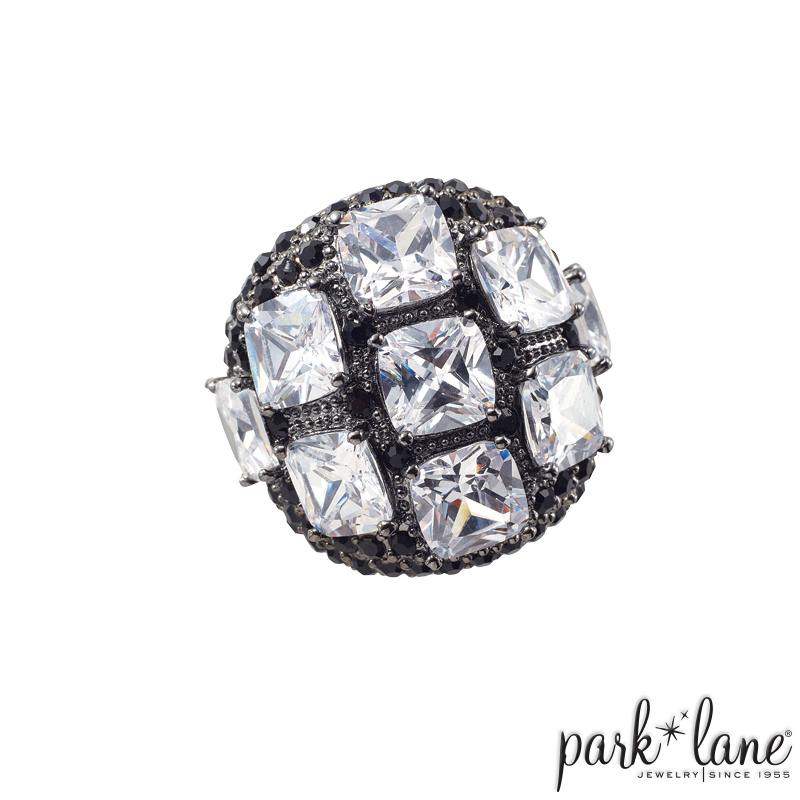 This notice-me ring will definitely draw stares. Not for the meek; not for the mild, OVER THE TOP is designed for those who don`t mind being the center of attention. Ring is available in size 5-10.